VAHS Library Scholarship is LIVE! Seniors: the VAHS Library Scholarship is LIVE! Log in to your Naviance account to view the application. 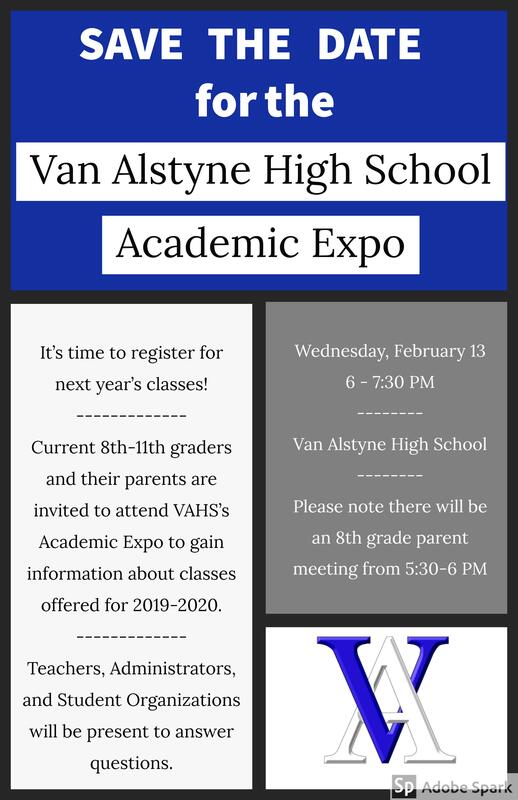 If your student is interested in taking Dual Credit classes next year- you will want to attend this meeting! 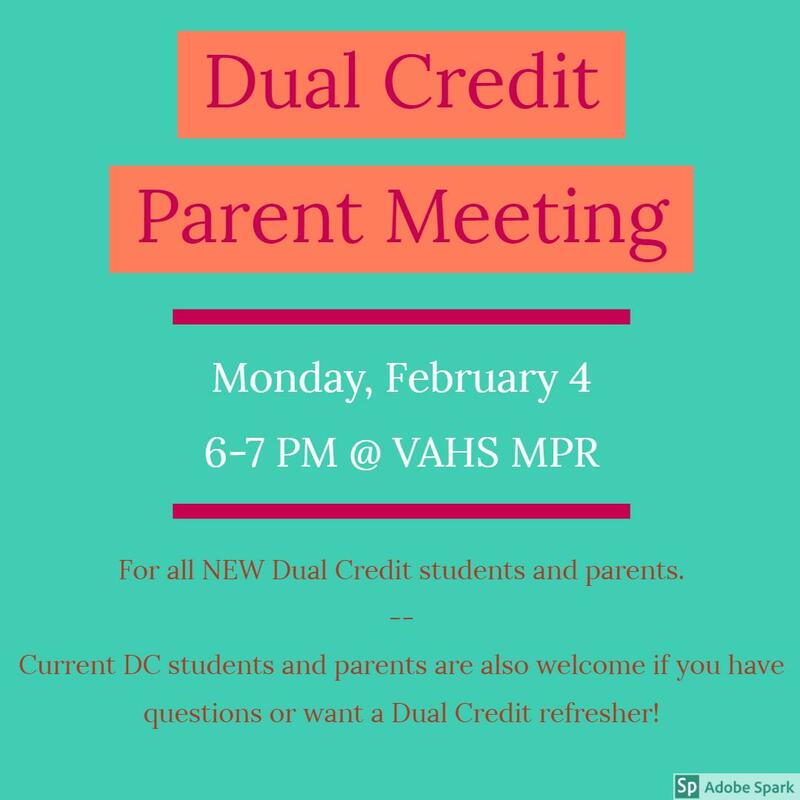 If your student is already in Dual Credit, but you would like a refresher or have questions- you are welcome to come! VAISD Curriculum Team presents at Conference. To all Verizon customers, there is a change affecting your Remind texting. Click here to read about it. Substitute Orientation - January 17, 2019 - 9:00 a.m. 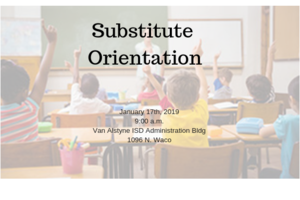 The spring session of substitute orientation will take place on January 17, 2019 at 9:00 a.m. at the Van Alstyne Administrative Bldg, 1096 N. Waco. 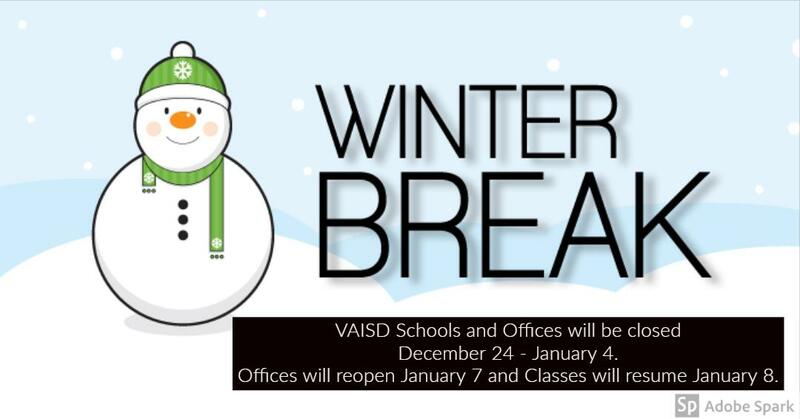 VAISD Schools and Offices will be closed December 24 - January 4. 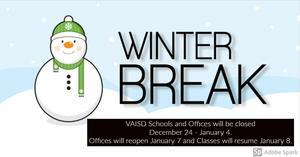 Offices will reopen January 7 and Classes will resume on January 8.